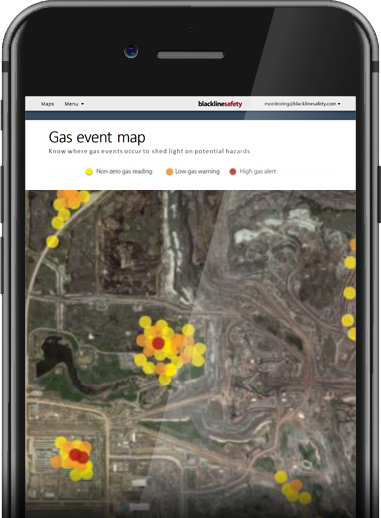 Connected safety technology pushes beyond conventional gas detection. If a gas leak, health event or injury occurred right now, how fast could you respond? 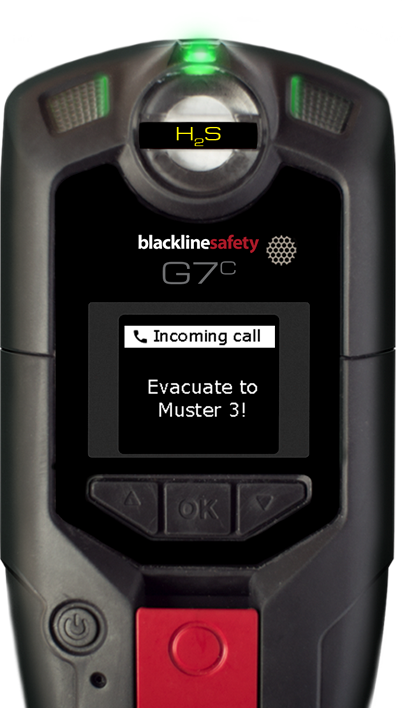 With our new G7 connected safety device, you’ll be able to respond in seconds. G7 is the only solution in the world to deliver work-anywhere wireless, two-way voice communication, text messaging, evacuation management and complete customization for every business. This isn’t our first safety rodeo. Our team has revolutionized the gas detection world before—learn what we accomplished. Empower your team to respond to any situation instantly. Real-time, work-anywhere communications? Check. Automatic detection and location-mapping? Check and check. G7 was meticulously designed from the ground up to handle every facet of your safety program. Trigger a plant-wide evacuation in seconds and monitor everyone’s progress to muster points. Just like the general on a battlefield, safety teams need real-time data to make quick decisions that affect employee safety. G7 delivers critical insights—from potential injuries to health events and even persistent gas leaks. When trouble strikes, instantly mass-notify your teams of a hazard in the area. G7 is all about staying connected and staying safe. G7 allows your teams to work anywhere with confidence. Cellular and satellite connectivity options ensure that everyone remains in contact. Live two-way voice communication and text messaging bind your team together no matter how far apart—even your remote employees working alone. The modular design of G7 not only delivers industry-leading customization, it future-proofs your program. Choose from standard, single and quad-gas cartridge options and select gases that meet your needs. When gas sensors reach the end of their service life, replace with a pre-calibrated cartridge in seconds. Never configure devices or update firmware via USB again. G7 configures wirelessly in seconds. Firmware updates are seamless too, occurring automatically over the air. Blackline removes the guesswork from rolling out a world-class safety monitoring system. Our in-house monitoring team provides around-the-clock monitoring of every employee. We manage every alert for you, delivering industry-leading performance and high availability. Unlike conventional gas detection equipment, it’s easy to monitor G7 team usage, ensure equipment calibrations are current and check if G7 devices have been bumped according to policy. All data is communicated in real-time to the Blackline Safety Network for storage and reporting. See at a glance how your fleet is working with simple reporting. Log into your Blackline Live account from any internet-connected mobile device or computer. Respond to safety alerts, locate nearby responders and resolve the situation. Change device settings, mass-notify you teams of hazards and monitor fleet compliance. Since everything is connected, your teams will never miss a beat. Collecting SD cards with calibration data is a thing of the past. No more running ethernet cables to each of your docks either. G7 does all the work for you, ensuring that every ounce of data is at your fingertips. When placed into the affordable dock, G7 offers to calibrate or perform a bump test. All test results are communicated wirelessly to your Blackline Live monitoring account for compliance reporting.